TEMPO.CO, Jakarta – The updated Samsung Galaxy A series is available on the market in most countries. However, in a short period of 40 days in India, the Galaxy A series has sold two million units. "During the 40-day period starting March 1, Samsung managed to deliver 2 million combined units of the latest Galaxy A smartphones in India," said Samsung India & # 39; s Chief Marketing Officer and Senior Vice President Ranjivjit Singh , as reported by the page PhoneArena, Tuesday, April 16, 2019. The sales figure translates into US $ 500 million in sales, which Singh believes is a record for every brand in the industry when a short period is taken into account. That amount is also putting Samsung on the right track to reach the US $ 4 billion target by the end of this year for the ranks of the Galaxy A. Samsung is even convinced that they can exceed the target. Samsung kicked out the Galaxy A lineup that was updated at the end of February with Galaxy A10, A30 and A50. Unlike the previous models, these telephones are primarily focused on functions that are becoming increasingly important for consumers. The three models will of course continue to play an important role during the rest of the year. However, Samsung hopes the release of the Galaxy A70 in India next week and the arrival of the Galaxy A80 will push demand to a higher level. 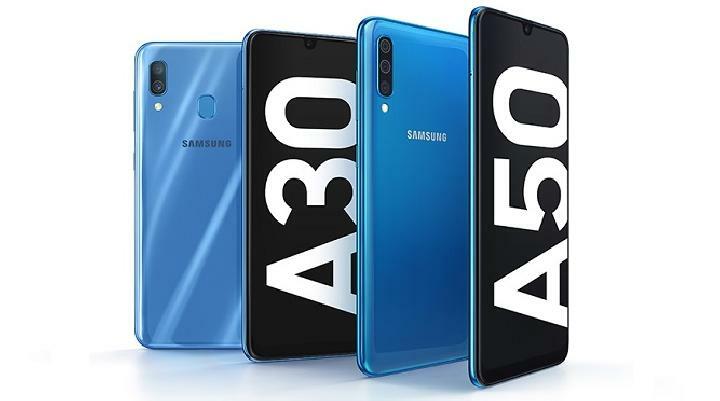 Samsung relies on the Galaxy A20 and Galaxy A40 to fill the gap that the Galaxy A2 Core also expects. This device is also expected to tempt consumers for the first time to switch from normal mobile phone functions to smartphones. These models are the key to Samsung's long-term success in India. The Galaxy A series, however, represents the company's ability to confront its rivals from China and to strengthen its position as the largest producer of smartphones on the Indian and global markets. Samsung's performance in India can also be the key to maintaining superiority over Huawei on a global scale. Huawei is not as popular as Samsung in India, which is currently one of the few major smartphone markets that is still experiencing strong growth. Huawei aims to become the world's largest smartphone manufacturer by the end of this year or at the latest in the first quarter of 2020. To achieve this goal, the company relies heavily on middle-class smartphones. In addition, Huawei & # 39; s flagships are also becoming increasingly important. The Huawei Mate 20 series recently achieved sales of 10 million units in just 4.5 months, which is a record for the company. However, this performance seems to be surpassed by the Huawei P30 series that was released earlier this month.